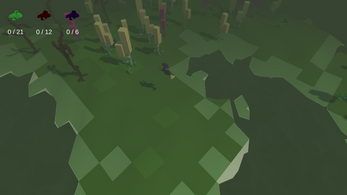 The terrain is procedurally generated, but the seed doesn't change dynamically yet. The trees and frogs are placed randomly on terrain. Right now the goal is to collect some quantity of different frogs to win the game.